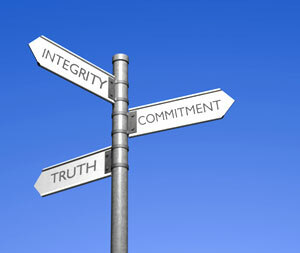 Each of us must decide for ourselves where we stand ethically. Promoting ebooks, products and services they know aren’t worth buying as long as they earn money on them. Attacking other bloggers when they are getting high visibility to use controversy to generate more traffic which makes them more money. Recommending strategies they know – or should know – could get their readers banned or their accounts deleted. Even when outed in the comments of their own sites they don’t stop recommending them. There are many very prominent blogs in the how to make money online niche that never get mentioned here. These are the reasons why. This is where the majority falls. They probably feel that if others are doing something it must be fine until someone gets bad publicity about it. When that happens, they pretend not to know the people who are getting bad publicity. If they get caught they deny culpability or plead ignorance. Many bloggers currently operate in this area and could go either way. If their goal is to make money – especially if they have fallen for the illusion that you can get rich quick – they are more likely to end up in the ‘Anything for a Buck’ camp and later have serious regrets. The highly ethical person does the right thing even though it means limiting how much money they can make or taking a public stand may cause the majority in the middle to unfollow them or stop reading their blogs. You have to decide what to do about others. These are the people I trust and collaborate with – others who choose to be highly ethical. I make supporting them my priority and spend my time supporting their efforts. I mention them often here and add them to my lists. While not everyone on every list is highly ethical or someone I would trust with my PayPal password, they are all either almost that trustworthy or moving in that direction. This is where the majority of people are and they have their own decision to make. I interact with them regularly. I follow them, help them in any way I can, and sometimes I’ll comment in and share their posts. Because there are only so many hours in a day, while I don’t mind supporting their efforts they are not my primary focus. I reserve most of my time for the highly ethical bloggers, causes and an occasional client. I might even write guest posts on their blog if by doing so I benefit others more than I benefit them. I ignore (don’t read, don’t comment in, and don’t share) the content of the ‘Anything for a buck crowd’ because I don’t want to encourage anyone to emulate their lead or accidentally share a dangerous strategy I might have read in one of their blogs. banned until it is too late. It is critical for highly ethical bloggers to seek each other out now while our blogs are still being indexed by Google and Twitter is only censoring either some tweets or possibly only the accounts of some Twitter users. What I have been writing about why the economy is failing for over three years now explains why people are protesting as do my tweets and comments. You can see my #ows tweets and read my comments in Livefyre on any site that uses that commenting system to see why I support what they’re doing. You can also search for Occupy Wallstreet on Google+ and Occupy Wall Street on YouTube and elsewhere. is BROKEN so we can’t share it on Twitter, Facebook, etc. Update: Comments are no longer visible on that post. FOUR hours later it is STILL not working. How long does it take you to fix a broken link? like Livefyre, Disqus, or Intense Debate that are EASILY CENSORED. so you can find each other! or the new CommentLuv Premium plugin instead. This will become increasingly important as Google starts dropping posts and blogs from their index. The Chrome block feature as I explained in Crowdsourcing Failures and loading time are the perfect excuses for them to do that. What about you? 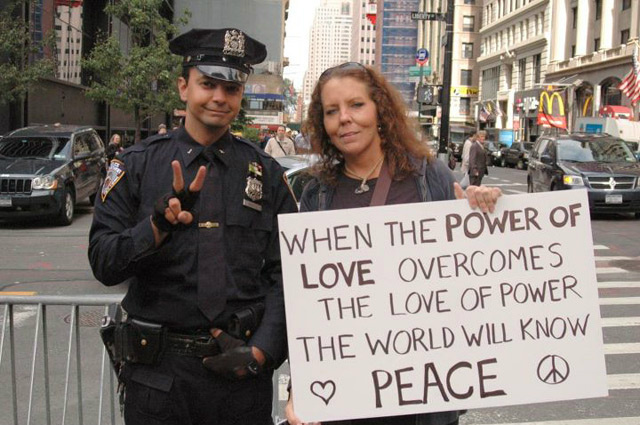 Have you given where you stand ethically or the Occupy Wall Street movement any thought? As always, you are invited to comment and leave relevant links to related posts or comments elsewhere. You are correct !! Initially, people use to blog to share their expertise but now most of the people start the blog to make money. They just write anything without a good research. It will surely help people to know what is ethical and what they should share.. Thanks for writing the great post!! This is an easy one Gail! And the so called “anything for a buck” crowd will basically seal their own much deserved fate! Mark would love you to read ..Who Else Wants Strategically Leverage Seven Proven Small Business Email Marketing Tips? This is a good post to better understand what I was telling you in audio on Skype. So many waste time, money and effort listening to people whose only priority is to make themselves money. You’re on the right track now. Great post, and thank you for pointing me to it last night. There’s a lot of ways to approach blogging. For me, it’s always been about long term value. My goal was always to build a readership around a subject matter I know well and love (web analytics). Admittedly, there’s not a lot of “get rich quick” schemes in web analytics, so my “ethical stance” has naturally been governed and enhanced by market conditions. In the long run though, as more and more people take an interest in the topic, I think I will ultimately benefit from being a straight shooter. Sorry for the huge delay. I probably had this open to reply to one of the many times FireFox crashed and forgot to come back to it. There is a consistent theme that runs through the choice of ethical versus get-rich-quick and that is long term good for all versus short term want it now. There are far too many people who don’t care if everyone else starves as long as they have plenty. That attitude is going to be very dangerous in the coming years. They probably don’t realize that the main reason people don’t steal or kill is the unwillingness to risk what they have. When many people have nothing left to lose and are desperate, the ones who only care about themselves are going to be truly dangerous to the haves that are left. As I told a wealthy person years ago at the Keeneland Thoroughbred sale (who we had invited to sit at our table because there are so few seats available), your luxury vehicles and houses behind locked gates only give you an ILLUSION of safety. Bullets pass right through vehicles, you have to get in and out of them, and as anyone with a television should realize by now doors are easily bashed open and windows are even less of a deterrent. When people have nothing left to lose many will decide they might as well kill you for your Beemer because their lives can’t get much worse and if they get caught at least they’ll have a roof over their head and hopefully regular meals (although in some prisons that isn’t a certainty). I agree that you WILL ultimately benefit from honesty and integrity. I am happy to have “met” and appreciate your letting me know about that site so I could immediately remove it. I’ve always wanted to proudly wear a white hat and be an ethical marketer. Many times in conversations with marketing friends or on Skype, I’ve mentioned the fact that being an ethical blogger seems to limit the income possibilities- but that’s just how it has to be. I mean .. I grew up wanting to be She-Ra for pete’s sake- and she was very moral, loving, kind, HONEST. How could I be a superhero if I used dirty tactics? Welcome to our collaborations and the DoFollow CommentLuv community Jenny. While being highly ethical limits most chances to promote get rich quick schemes that only work for the first people involved, in the long run you will build a business you can be proud of that makes money more consistently. What the black hatters and con artists don’t tell you is that the main reason they make money is that they build huge lists (which you CAN do), collaborate with others (which we ARE building) so they can do big launches with bonuses (which can also be done ethically). They primarily sell “how to get rich” products teaching methods that only work if YOU already have a big list and know how to do big launches to other big lists. The reason THEY can make big bucks in hours or days is the lists and the cross-promotion – but they don’t tell newbies that. There is no such thing as an ethical “get rich quick scheme” that works that I have ever seen. I invite anyone who can provide an example of even one that worked to do so. Ethical businesses do grow slower but they also last longer and have more loyal buyers so in the long run it is always better to be ethical. We cannot stop them from being unethical but it would be a great idea to stop interacting with them. I know it could be considered as indifference but in the online world, it could be the best tools we have to fight against unethical blogging. Also, posts warning other people of these unethical bloggers would be great. The reason you will not see posts warning about unethical bloggers is because they are black hatters who know all the ways to make your blog disappear from search engines. It is unfortunately not that hard to get someone’s blog dropped from Google by actions they have no control over. They will also make it a major priority to smear you, your business, and your brand all over the Internet – and keep fabricated lies about you on the first page of Google indefinitely to cost you business and embarrass you. Because most people are in the “Go Along with the Crowd” group – as soon as the mud begins to fly they will abandon you and pretend they don’t know you. Unfortunately, most people are not very loyal and will distance themselves for fear the black hatters will target them next – and most people believe far too much of what they read even when it is ridiculous and obviously fabricated. What has our society turned into? Taking advantage of anyone they can trick for a quick buck. What happened to helping one another for a common goal? I guess that is long gone as well. I do hope we can turn this thing around before it’s too late. I believe that society is how it has always been with most people being almost totally self-absorbed and the few highly ethical, helpful people being victims of the con artists over and over until they get old and wise enough to recognize them before they take advantage. The difference is that now it is fashionable to be greedy, selfish, and unethical and books lauding businesses that take advantage of others are best sellers and because of that it is now more obvious that we live in a world that is basically evil. When I was twenty I traveled to the east coast from California for the first time. At that time in California people who were male chauvinists knew better than admit it and pretended they weren’t while on the east coast people who were NOT male chauvinists pretended they WERE because that was what was socially acceptable there at the time. IMHO, what ethical people must do is seek each other out, share what they know with each other, and ignore unethical people altogether whenever possible. Thank you for the great post. I would really support the ethical bloggers who endorse the products that they used or experienced. Unlinke other bloggers who try to raise the controversies or speak bad about someone/topic, they will create a bad impression in the blogging community. Your name and your credibility is all you have and all that cannot be taken away from you. You get only one of those per lifetime and if you are willing to sell it, it’s your choice. However, you cannot buy another one! While I do agree with you I also know there ARE people who will try to ruin your reputation and credibility. When that happens it is important to stay calm, not lend them any of your influence if they don’t have any of their own, and if they have a lot of influence state your truth on a site you control and/or on third party sites they do not control. See Reputation Management: How to Protect Your Brands for more information if that ever happens to you or anyone you know or contact me for assistance. As a blogger you should follow the crowd especially if the crowd is going in a direction that I feel its ethical to go to then yes I will follow them. Be ethical. I believe it’s a matter of choice and what you believe its ethical. it is the duty of every blogger to keep ethics of blogging in their mind and write accordingly. There are certain obligations which is ethical to the readers or viewer. It is responsibility of a blogger to write and publish in an ethical way. Thanks for your article. It’s sad that unethical people are probably making a lot more money than the ethical ones. I recently thought I was going to get into it with a few different sites I write for because they wanted me to write about things I didn’t use or people I didn’t know. I just put my foot down and said no, here’s why. Some people are probably just afraid of the actual hard work it takes to make money the slow and steady way. There might not be any glory or BMW’s in the ethical blogger’s future, but at least they can be proud of what they do and can stand behind it 100%. I totally agree with you. Unethical businesses can make much more money in the short term and even in the long run IF there is a large enough audience of new people they can victimize – but being ethical and building a business the slow, steady way lets us sleep well at night. I completely understand your concern about censorship and I’m happy to answer any other questions or concerns you may have. Well actually that link seems to work intermittently now and not work other times. It did not work at all in any browser the night that I updated this post. At this moment a collaborator can get to it in Chrome but I can’t get to it in FireFox. It wasn’t working in Chrome for me earlier, but it IS working now. I strongly recommend bloggers NOT USE third party commenting systems because they are far too easily censored and you are handing control of YOUR comments over to them. Few bloggers would notice – at least right away – that comments are missing, but over time if some comments disappear but replies to those comments don’t, hopefully bloggers will notice and blog about it. A great post. From my perspective I think more about ethics in terms of how much we share about others. Maybe that’s partly based on where I live. the libel and slander laws here are a bit different from the UK. Overall though I would never blog about anything which could hurt someone else on a personal level. Lack of ethics in business is shortsighted. This “make a buck now” may get you that quick cash. But it is transitory. The only way to real success online is to hold yourself to a higher standard. People need to become beacons of trust. Your reputation is worth far more than any cheap sale you could possibly make. What I hope people will be able to see is that you can either keep making and flipping sites quickly before unethical practices catch up with you OR build a quality business over time. I hope by laying the truth on the line more people will choose to build ethical businesses over time. There ARE bloggers who will help you grow them faster and stand behind you even if some black hatter tries to destroy your site or reputation. Those who have influence can protect each other and also can launch a new site when necessary must faster. Gail, I love this post – and the idea of connecting with people who share high ethical standards. I think developing those standards is a process of identifying what you are comfortable with and what allows you to sleep at night. I recently turned down a lucrative advertising offer from a company whose product I reviewed because, as I pointed out to the ad manager, I didn’t really like the product so it would be hypocritical of me to advertise it. Excellent post! When ethics lack, a business will not survive as all credibility goes too. When your readers stop respecting you as an authority and start thinking of you as an unscrupulous copy-cat, they will start to ignore your blog. Ethics is key for small businesses to survive. The big ones however seem to be big enough not to care any-more. I recently wrote about how many UK firms have fallen victim to asset stripping and debt loading so now that the economy is tough many people are, unjustified, loosing their jobs. It is a tough subject and big corporates don’t like you to talk about it. I actually should see if any of these posts get censored. I was not aware these things would go on. Nik would love you to read ..Become A Graphic Designer And Let Your Creative Juices Flow! I wish every business is positive, the world will be a better place. You don’t even know how many unethical business I bump into. The movement is not well organized or coherent, but it is a scream of anger at the injustice of gross disparity. We will know the impact only later. People who have tunnel vision and are used to polarized politics have difficulty seeing the big picture. The bottom line is simple: the few mega-wealthy elite control the governments and multi-national corporations of very country in the world and limit what we know by controlling the major media. They also control Google, Facebook, Twitter, and tons of other sites and are actively censoring information about Occupy Wall Street and ALL of the other Occupy Together Everywhere movements. We need to get serious about WHERE we do what we do because few – very few – even of us – will notice that our tweets are being censored (mine are heavily whenever I tweet about #ows) and shares are being censored (like the LiveFyre link I mentioned is this post is STILL BROKEN as I type this comment. We MUST create collaborations of blogs and put together local groups so when important things are happening we can’t be kept in the dark. You know, about the occupy wall street movement, I am actually so glad that thy did arrest (what I think was about) 700 protesters, as I believe it actually got the word out there in front of more people and now its happening in a few big cities. By arresting these protesters, they helped them get noticed and I am so happy for that. Now its all over the place and every American has heard about the movement and many have joined it or at least are thinking about it. You know what’s funny to me, the fact that non even one of those bankers and “wall street” people how brought America’s ( and world’s) economy to its knee were arrested for their crimes. Yet all 700 of those who wanted to see justice done, were arrested and put to jail. Sadly our congress has a big pocket and wall street is the only one who can fill it up! Warning from a former Tea Partier to Occupy Wall Street Movement on Reddit. Your comment is a prime example of why I wrote this post. People have been conditioned to believe ethics is conditional and doing the right thing can be rationalized away. It isn’t and it can’t. What is right is what benefits you and others and DOES NOT damage anyone else. There are only a very few things that can not be judged either ethical or unethical using this standard (such as abortion when the life of the mother is in danger). The ability to determine whether something hurts others requires seeing the big picture and considering unintentional consequences over time. Since most people are conditioned to think only short term and about themselves, this is very challenging for most. Blindly following ANYTHING without understanding how your actions will affect others – or even yourself in the long run – is the world has degenerated to where we are today. QUESTION EVERYTHING. Stop blindly following anyone. We must all learn to THINK FOR OURSELVES because only then can we head off the cliff we are about to go over. 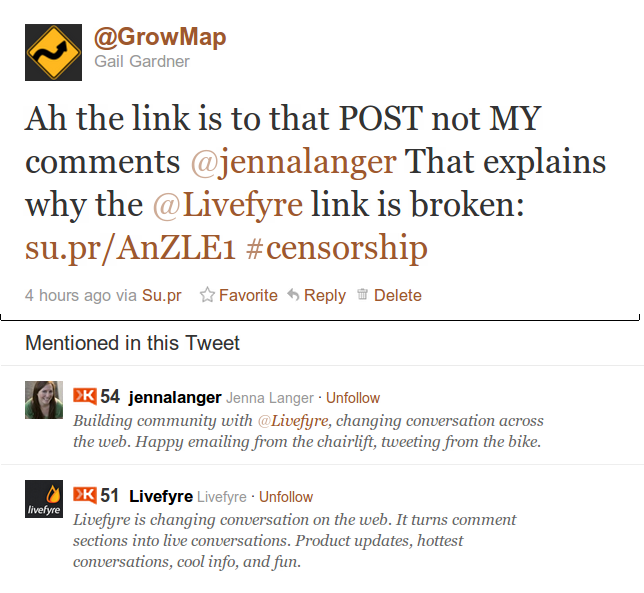 Growmap, in believing that morality is not conditional, you have company. The philosopher Immanuel Kant expressed the idea that for a moral maxim to be truly moral it has to be “universalizable.” That’s fancy philosopher fancy talk for “what’s sauce for the goose is sauce for the gander” or “if an action is ethical for me, it should be ethical for everyone.” You can see more by searching Wikipedia for “Universalizability.” The example: If I think it’s OK to lie on a loan application, I should think it would be OK for everyone, which, of course, would make loans no longer possible. And notice that the example includes the notion of unintended (or unconsidered) consequences over time. Being ethical takes a little brain power! But it’s pretty simple for Wall Street: Would I want the CEO of a company whose stock I own to take a bonus when the company lost money? Then I shouldn’t take a bonus. Excellent article. I can’t comment about occupy wall street as I do not know enough about it. Regarding make money online and some marketing blogs I see so much information that is wrong and nobody questions it. Instead they follow and don’t achieve the results they want. I have always worked in marketing and the one thing I know to be true is your reputation, whether it is you, your brand or your company follows you throughout. Also it is far easier to be honest and ethical as eventually the truth does come out. Susan Oakes would love you to read ..Does Your Brand and Business Really Stand Out? The worst thing about the popularity of the get rich quick bloggers who will do anything for a buck is that their followers often don’t realize their methods are unethical until it is too late and their accounts have been deleted or their reputation damaged. I encourage everyone to find out what Occupy Wall Street is about because it is the most important movement in my lifetime – larger than the protests to end the Viet Nam war and more important to people worldwide even than ending all wars – because a system that prevents people from having food and shelter is as deadly as war. I have read similar post about blogging ethics. People who are into blogging like me should be aware of the importance of blogging ethics. We should only consider the ethics which will help us and make us a good person. We might have different prospective in life but it actually depends on our decision or belief if we will follow the ethics or not. I find that most people have not given ethics much serious thought and that is why they so often do things they later regret. Hopefully those who read this will think more before they follow blindly.